Americans love their beef. Americans also love warehouse store like Costco. 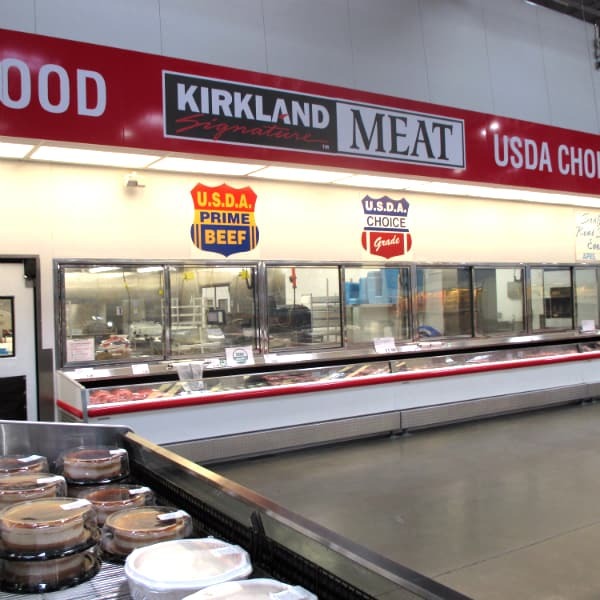 A place where you can get a big pack of steaks or a whole cut of beef for a cheaper price per pound some other stores. Are those deals as good as they use to be? I originally wrote my guide to buying beef at Costco two years ago. I decided it was way overdue to update the prices on that list, I did that last week. How has the prices of beef changed in two years. Look at my handy dandy table below. I list the price back in February 2013 first, then the price in April 2015. As you can see from the numbers above, yes the price of beef at Costco has risen and not just a little bit. Almost every cut on there has gone up by at least a dollar if not more. The two things are actually the same price – short ribs and round tip roast. Two cuts actually went down, the ribeye steaks and the Prime New York Strip steak. The rest all rose in price. They had a really good deal on Choice Top Sirloin at $4.99/lb but that went up almost $3 per pound! Why is the Beef More Expensive? Is Costco just trying to get more money out of you or is there another reason behind this increase. Rest assured it’s not Costco alone. Beef prices are up across the board, no matter what store you are in. A report in the USA Today from February 28, 2015, said that beef prices were up 19% in January 2015 when compared to the previous January. Forecasters expect prices to climb 5-6% more this year. What is the reason for this increase. The article goes on to talk about how droughts in Oklahoma and Texas has led to smaller herds which equals less supplies and higher prices. Herd sizes were the smallest they have been in 2014 since 1951! A USDA report say that cattle producers are holding on to their cattle longer to try to maximize their weight. We think of drought effecting fruits and vegetables, but we also have to take into account livestock who also need water for their survival. Has the increased price of beef effected your family’s spending habits. I know in our family we only have beef on special occasions, not even necessarily once a month. It has become a luxury item not an everyday purchase. Here are a couple YouTube videos to watch about that talk further about the price increases. This one is from “Beef, It’s What For Dinner?”, seems to be directed at retailers. That one video was probably a bit on the positive side. Here is another report featured on Bloomberg, featuring Agriculture Secretary Tom Vilsack. Previous Post: « What Part of a Ramp Do You Eat? Here in Ottawa the whole strip loin cost me $25.99/kg. today (June 18, 2015). Last one I bought a number of months back was $14.99/kg. if memory serves. Brutal price increase! Thanks for sharing what’s going on with prices in Canada! That is quite the jump in price.